Like many people, when we're feeling 'blue,' we might listen to music to reflect our feelings, or to cheer ourselves up. In The Tao of Music: Sound Psychology, Dr. Ortiz has focused on this basic impulse and created an effective systematic way to deal with life's vagaries, whether theyÆre long-term problems or momentary difficulties. He uses carefully selected songs and melodies, reflective of specific emotional states, that we can each use to progress from identifying our pain to healing it. 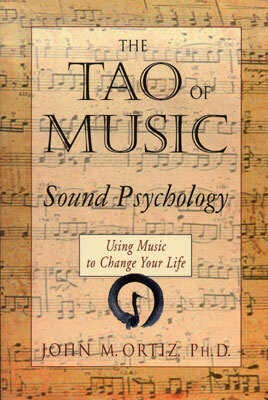 Designed as an introduction to Sound Psychology', The Tao of Music: Sound Psychology combines music and sound, basic psychological principles, and Eastern philosophy in a 'reader friendly,' practical format, making it accessible to laypersons as well as health practitioners. Through a wealth of inspirational case stories, simple exercises and creative techniques, this holistic, extensively researched resource provides hundreds of recommended 'Musical Menus' to assist readers in ôcomposingö their own complementary programs for healing, prevention and wellness.